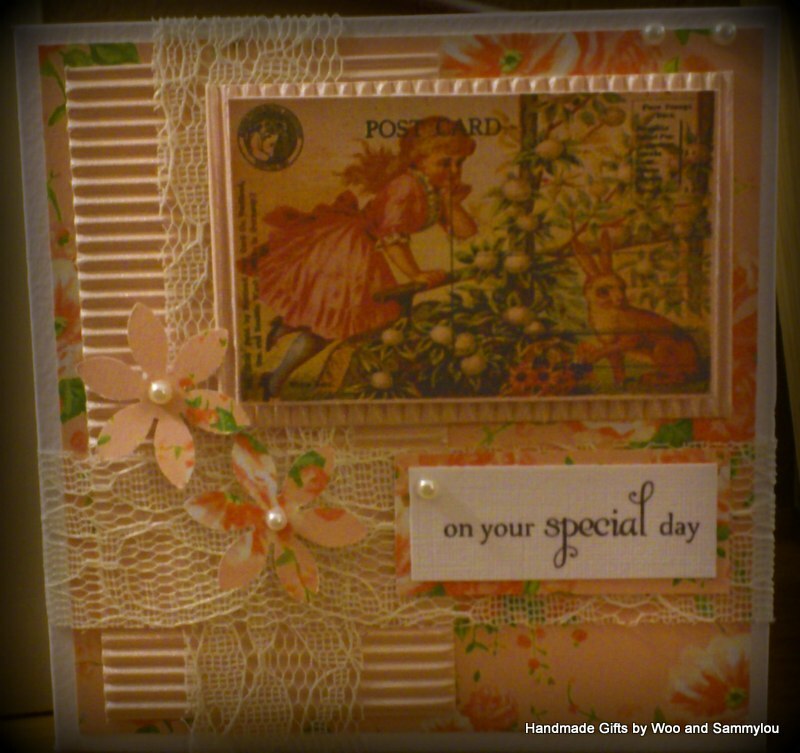 Sammylou's Adventures In Craftland: ILS by Tsunami Rose - Monthly Blog Hop - Day 2! 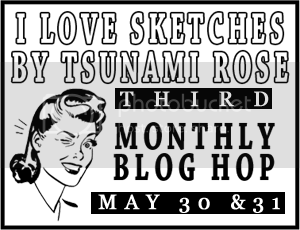 Thank you for joining us in the I Love Sketches byTsunami Rose 3rd monthly Blog Hop! We have all been given the last two scheduled sketches of May to work with and put our own spin on! Please make sure to become a follower of everyone on theblog hop and leave them a comment on both days with your email if possible so that you Daisy Collins can contact you to send you the prize! So here's mine! It's only a mini card (10.5cm by 10.5cm) and I used some free papers and other things from my stash, as well as one of Daisy's printables - it's such a cute image and I love the rabbit. The sketch definitely shows that you can add texture and detail on a small card and not overwhelm it. Make sure to join the I Love Sketches by Tsunami Rose Facebook Group! 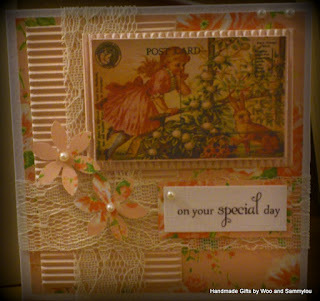 Loving the vintage look to your card Sammylou! The layout and the colours are fabulous. The lace looks fantastic. wonderful vintage card!! love the lace and colors!!! This is gorgeous. So beautiful design. How can i design like this for the Plastic Card? I really appreciate this. Thanks for sharing this adorable creation. Adorable design with eye pleasing shades and captivating embellishment makes your card prominent,do you have any design related to plastic cards?